My house wont sell, what do I do? Selling your house through a real estate agent can take quite some time — even in today’s seller-friendly marketplace. In fact, depending on the type of sale, asking price, market factors, and the property itself, it can take six or more months to sell a house with a real estate agent. Then, the closing process can take an additional month, and even longer if complications arise. If you are moving soon and are all set to move into your new place, or if you need to sell your place due to urgent personal matters, you might consider selling to a real estate investor. Selling a home is not always easy, but a real estate investor might see potential in your place that can expedite the process. 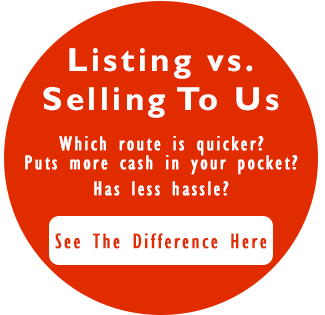 You might find yourself wondering what the difference is between these two methods of help selling a home. See, when you go through a real estate agent, you pay them a percent of the closing price to list the house on the market. Then they negotiate with the prospective buyer’s real estate agents on an amicable price. This process can take a long time because people in the market for houses are generally picky, rightfully so, because they are likely looking for a place that they want to live. If they put in an offer, it is usually significantly lower than asking price, and negotiations will commence. There is a lot of back and forth involved, so the timeframe is naturally quite long and nothing is stopping a buyer from dropping out of negotiations. If that happens, you need to start over from square one. What about selling to an investor? Here we have a much different story. This is how to sell a home fast. First, you describe the details of your house to an investor, they ask some follow-up questions, and if your house their criteria, you will receive a cash offer. That’s right, a cash offer. If you accept, you will receive a check when the house closes. The typically takes days to complete, instead of the endless uncertainty of traditional housing markets. 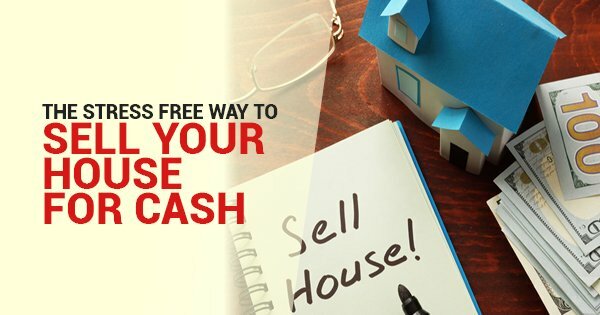 Today, you can easily find real estate investors who purchase homes for cash online. You can either search, “We buy houses” online, or you can start the process here and sell property faster than you ever imagined. Whether you’ve fallen on tough times or are simply having trouble finding the right buyer, this is a quick and incredibly easy solution for those of you who need help selling a home.